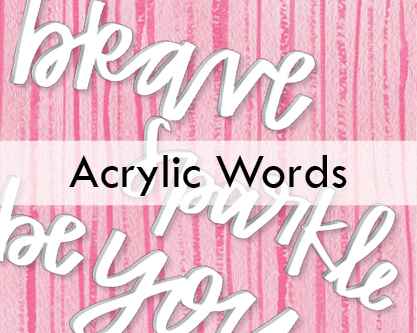 Add the perfect title and touch to your layouts and projects with these high quality, solid white acrylic words! Available in 10 skus, each offering two different words in the beautiful hand-written script of artist Meghan Coleman. There’s no other font treatment out there like Meghan’s letters from the heart!